In a bowl, coat peaches evenly with olive oil, salt and pepper. 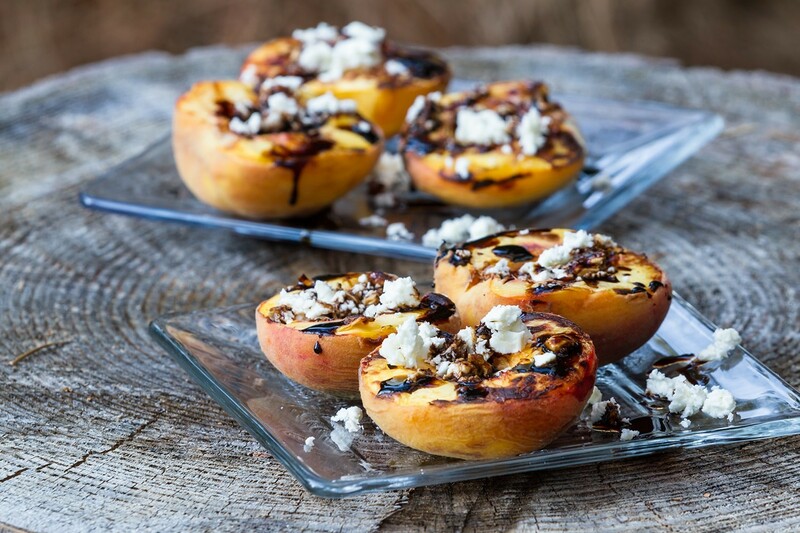 Cook peaches flesh side down until slightly charred (roughly three or four minutes at medium-high temperature). Remove from heat and add cheese crumbles. Then drizzle with balsamic vinegar.